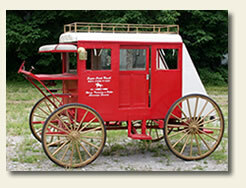 Our authentic western Overland Stage Coach can carry up to 4 average sized adults. This coach can carry up to 9 children under age 12. This is a special events coach we normally bring to your location.